The agreement was signed by 18 leaders of various FSA groups. 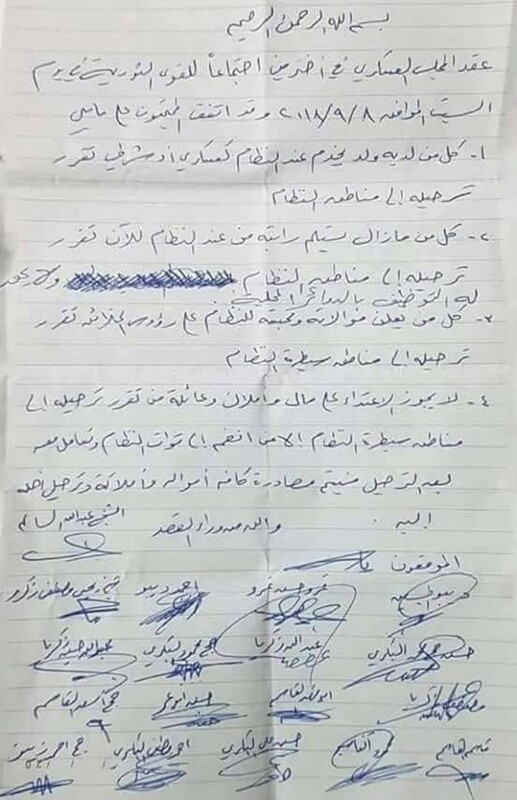 According to the settlement, all families whose relatives are relevant to the Syrian army or public services have to leave the town. This decision also includes persons who have sympathized the Syrian government in any way. Their property will be confiscated.